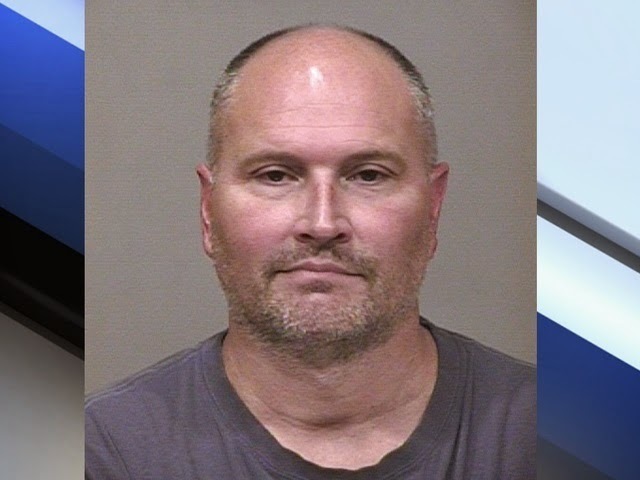 Scottsdale, AZ—Rex Chapman, 46 had a great 12-year NBA basketball career Playing for the Phoenix Suns, Miami Heat and Denver Nuggets. In 2006, he served as the vice president of player personnel for the Denver Nuggets. Today he’s employed TV sports broadcaster for Turner Broadcasting. I say that he had a great career, because it has suddenly all ended in an epic crash after his September 19th arrest for stealing some $14,000.00 in merchandise from a local Apple Store. The foolishness of Chapman’s caper defies logic. Apple store records show he was present on several occasions and video shows him purloining the property with a knapsack or white Apple bags. In an even more stunning lapse Chapman apparently wasted no time selling the booty to local pawnshops. They too keep surveillance video recordings and are required to obtain identification of anyone pawning or selling property. Most people are thinking this mess may resolve itself with some probation with restitution. Not in Arizona! This state has some of the more draconian laws in the USA. Since there are several separate criminal events they are all treated as prior offenses. The five separate felony counts of Trafficking In Stolen property counts involved alone could easily put him behind bars for the rest of his life. Video surveillance without eyewitness testimony is worthless because it is hearsay. However in court the Apple Store’s records will refresh the clerk’s memory so he can identify Chapman, as the person on the video is the same one he served. The same holds true for the pawnshop clerks. I can’t imagine Chapman being so desperate for money considering his high-end salary garnered from both careers. I can only ask what was he thinking? The Scottsdale police officer’s probable cause statement below in the attached court record tells this sordid story. A combination of two or more? Strange but shoplifters very often commit these offenses even though they are not needy at all and could easily afford to pay for the stolen items. I remember a Det. Sgt. (in plainclothes), from the CPD who went to a Salvation Army store and loaded 2 shopping bags with Bulls, Bears, Blackhawks, Cubs and Sox T-shirts, sweatshirts and jackets and tried to start haggling with the cashier for a reduced total cost. The cashier wasn't able to negotiate and since he had close to $100 worth of merchandise and was offering only $20, she called for the manager. He refused to wait and left a $20 bill on the counter and left. Police were called and he was literally put in handcuffs and arrested and brought into HIS OWN Detective division and processed. He'd done something similar before and bosses were tired of him. My point though, is that he had plenty of cash and could afford to pay but he was a goof. These people are not rational doing this crap. Celebs of all stripes have a mile wide entitlement streak.